The Prepd Prime pre-workout hydration enhancing drink is your secret weapon to stay hydrated throughout the toughest endurance session. Developed by Flinders University (Adelaide) in collaboration with Yale University (USA), this breakthrough formula has been proven to sustain athlete hydration for longer when regular water and sports drinks don't cut it. It contains a unique resistant starch that amplifies fluid absorption in the gut - so you get the most hydration out of every drop of fluids that you consume. Train and compete without dehydration-related fatigue holding back your performance. Step 1 - Prepd Prime: pre-workout hydration enhancer consumed 6-18 hours before training or competition. Prime delivers the perfect dose of the unique resistant starch to prepare your gut to use its full hydration potential. This helps you stay hydrated and absorb fluid more effectively to perform at your peak for longer. Step 2 - Prepd Recover: post-workout rehydration enhancer consumed immediately after training or competition. Recover helps to rehydrate, replenish electrolytes and speed up your recovery. The added resistant starch provides a rehydration boost in the 24 hours following exertion. 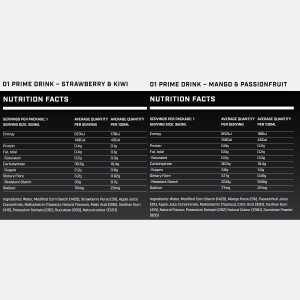 The delicious smoothie consistency of Prepd comes in 2 mouth-watering flavours - mango/passionfruit and strawberry/kiwi. 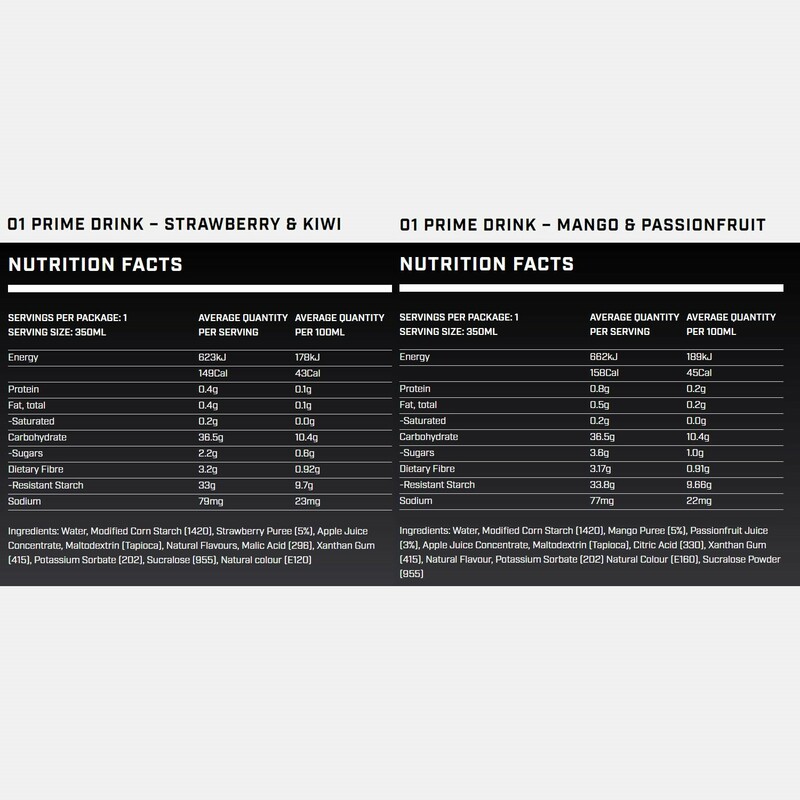 - Drink 1 x 350ml Prepd Prime 6-18 hours before intense exercise as an integral step in your preparation for training and competition. - When training or competing in the morning or early afternoon, drink Prime the evening beforehand. For exertion from mid-afternoon or in the evening, drink Prime with breakfast that morning. Please note: Recommended to limit consumption to no more than one Prime and two Recover drinks in total per day or as tolerated. Purchase any combination of the 4 options of Prepd Prime and Prepd Recover for a discounted price.